Is Marvel Comics Exploiting Diversity? I’ve been seeing an increase of stories recently online & on social media about Marvel Comics and it’s continuing sales slump. Most of the articles bring up the hot topic of diversity, some say that Marvel’s record low sales of their comics books are simply because of rising cover prices & lack of fresh new ideas for their characters. Others say that it’s directly due to it’s attempt at diversifying it’s star characters by changing their race, gender & sexual orientation. Most of their popular character’s titles have had a bit of a revamp lately, for instance Wolverine is now female, so is Thor, so is Iron Man, Cap is black, the Hulk is now Korean-American etc. etc. You get the point. Could these changes really be the reason why sales are down? Do people just simply hate diversity in the Marvel Comics titles? 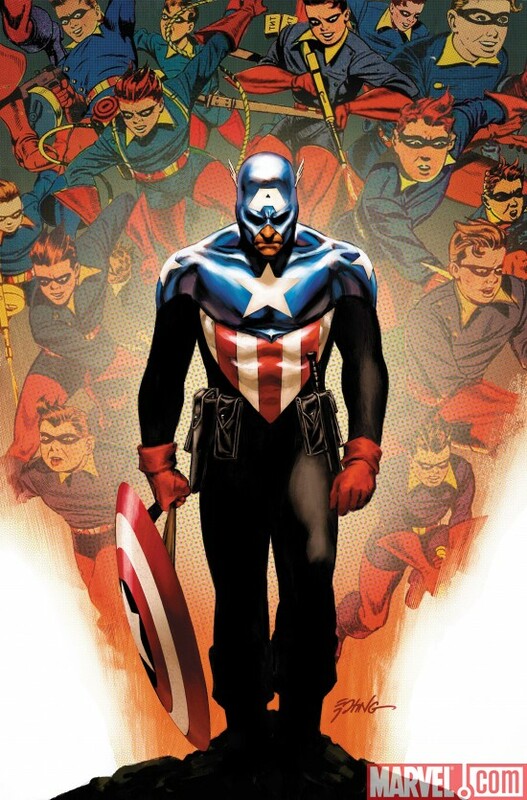 So it seems that ol’ Steve Rogers has got some problems again-as you all probably already know he’ll be passing the mantle of Captain America to he longtime buddy Sam Wilson, formerly The Falcon! 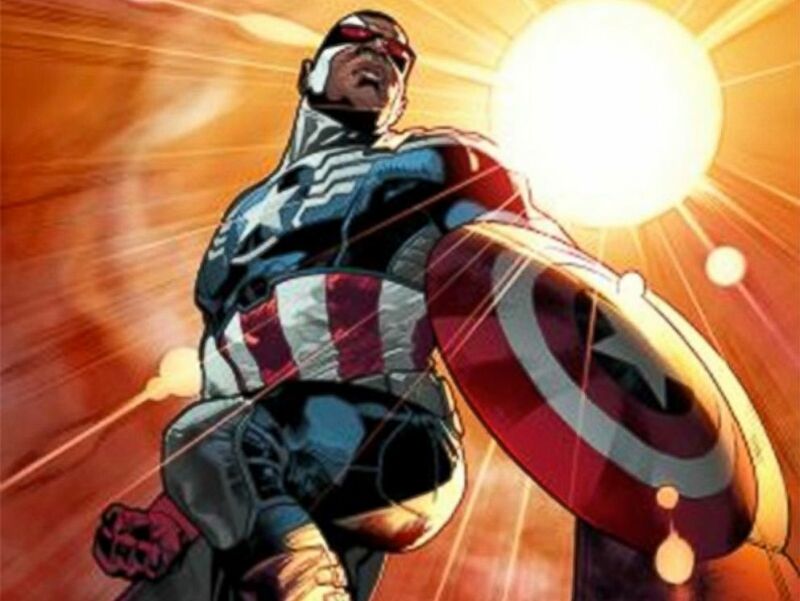 Wilson arguably the first black superhero in mainstream comics, originally appearing in the late 1960’s and has been one of Cap’s best friends since. It seems Marvel’s trying to really shake things up there to generate new some interest, most recently, the company announced a new Thor that’d be a female version and also announced that Wolverine would be killed off in the coming months. Of course we all know, Wolverine will be back, Thor will be a man again and Steve Rogers will once again return as Cap, so really there’s nothing to lose here for Marvel, it’s not even a gamble in smallest possible way. But Man, Steve Rogers has a rough time being Captain America in the modern age doesn’t he? Being killed off in Civil War and having Bucky become the new Cap (I LOVED the Bucky version by the way) and now his super soldier serum being taken from his body?! Dang! Now Steve will operate from behind the scenes sitting at a desk as he’s now an old fogey! Ouch!! Anyway I think it’s a cool idea and I like the fact that the Falcon stepped to the plate to make some Cap history. From what I hear too is that Wilson won’t be giving up his wings either-a good decision. Plus a winged flying Cap is a cool idea. My question is why realistically would Wilson decide to be Cap when he’s already a legend in his own right? I guess it’d be like if Spider-man died and suddenly The Black Panther decided he was going to be the Spider-man?! Anyway there have over the years several others who’ve taken the role of Captain America besides Steve Rogers, here’s a list of the Cap wannabes! !